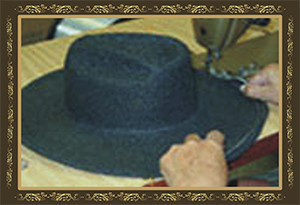 Bullhide Hats have gained special recognition in the western market because of their superior finish, innovative style and exclusive trimmings. These qualities make Bullhide Hats unique. 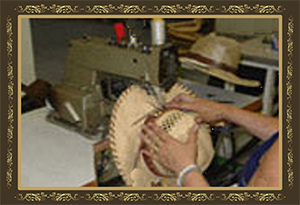 Choosing the right Hat body is only the beginning of the laborious process of making a Bullhide Hat. First each hat body is handcrafted by expert artisans using different materials: Fur felt, wool felt, and natural straws. Before qualifying as a Bullhide Hat, our hats have to pass a careful inspection made by our skilled hatters. Each hat body is hand dipped in a special lacquer, which makes the hats more durable, water-resistant and easy to clean. 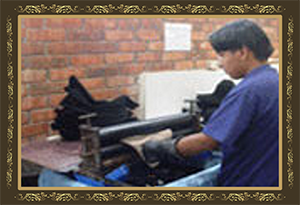 Unlike some other manufactures that run their hats trough ovens, our hats are allowed to air-dry. 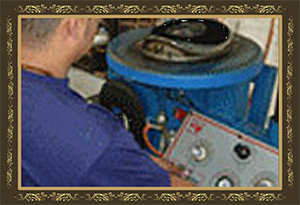 This process takes longer, but it allows the stiffener to cure uniformly and eliminates peeling and cracking. After the completion of the stiffening process, the hats are ready for the blocking process. We use heat, pressure, and extreme care to give the hat its final size and shape. Our hats are then trimmed to the proper brim width. 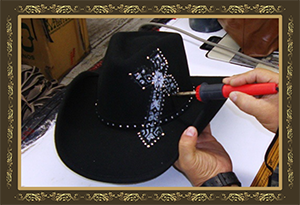 On all straw and crushable felt hats we sew a special wire to the brim. This brim wire will allow you to customize your hat to your liking. It is what we call a "U-style it" brim. Then sweatbands are individually fitted to each hat. This is necessary because of the different thickness of bodies and other variables. Some other manufacturers cut the sweatband to a particular size and make it fit the hat. Individually fitting each piece of leather to each hat ensures the best fit and quality. 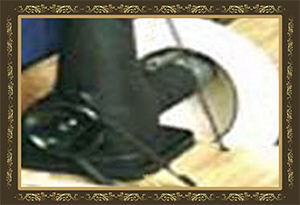 The final steps give the hat its unique touch: We line our hats in satin, when appropriate. 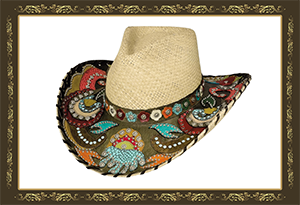 Then we trim and decorate them with exclusive leather bands, rhinestones, studs, ribbons and bows, giving each hat the distinctive Bullhide look. Each hat, regardless of price or quality, must pass our rigid quality control inspections. 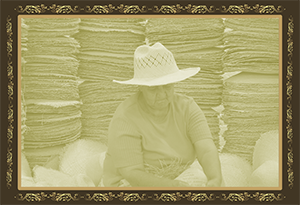 The resulting process ensures a genuine work of art: a masterpiece, a Bullhide Hat.